Because my grandma is staying with us at the moment, we’ve been having a lot more Chinese food when eating out. I usually try to avoid going to Chinese restaurants, because in my opinion, my mum cooks the yummiest Chinese dishes. As we all know, China is huge, so obviously there are a lot of different cuisines, I think there are eight main ones, and then there are sub-categories after that. 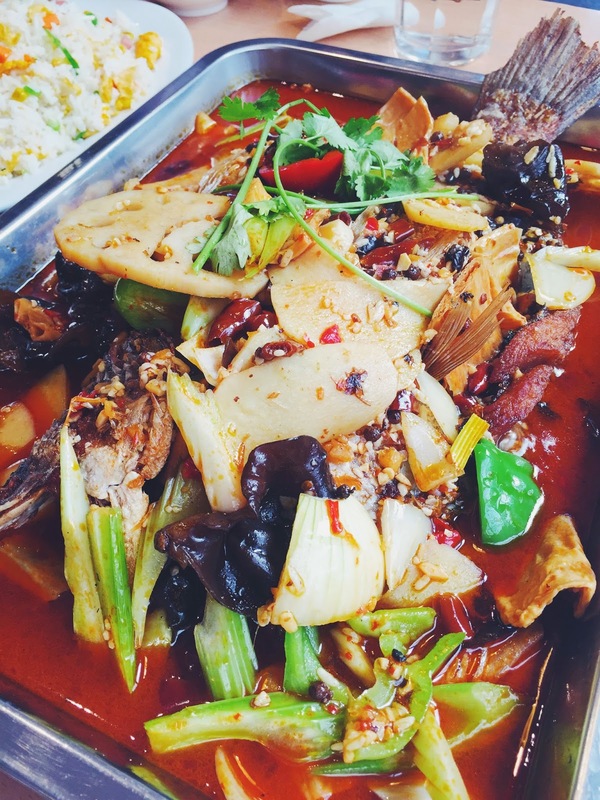 Chongqing Hot Pot serves Szechuan cuisine, you know, the one with the chilli and the peppercorns, and hot pot duh. I think they do hot pot buffets, but I was never a fan of those, since you never get your money’s worth, and it’s much easier to just buy all the things you want for a hotpot and have it at home, at least in my case, when my mum does all the hard work hehe. 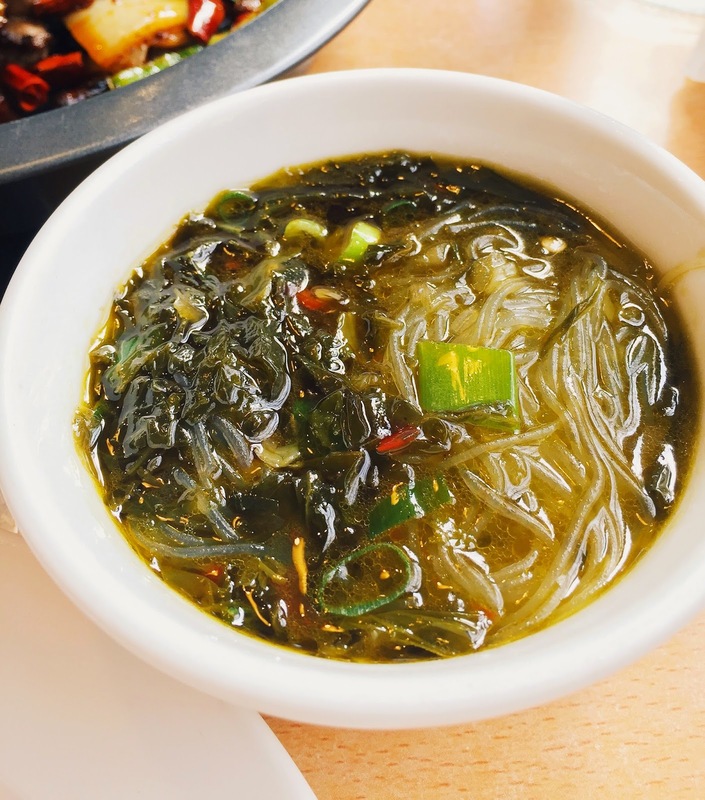 My dislike towards hotpot buffet meant that we were here to try out the a la carte menu, and I’m glad we did, because after looking at reviews, the buffet seems to be pretty average. Cumin is probably my favourite spice in Chinese cuisine, I remember when I still lived in China, there was a place that served BBQ skewers of lamb, and that’s the one thing I have to eat every time I go back, because over here in Melbourne it’s just not the same thing. My grandma doesn’t eat lamb, so we chose the sautéed beef as a compromise. This was delicious, the beef was a bit dry, but the onions and capsicum was cooked until they were soft enough to soak up the spices. The chef used an ample amount of cumin powder, which made this dish a winner in my book. 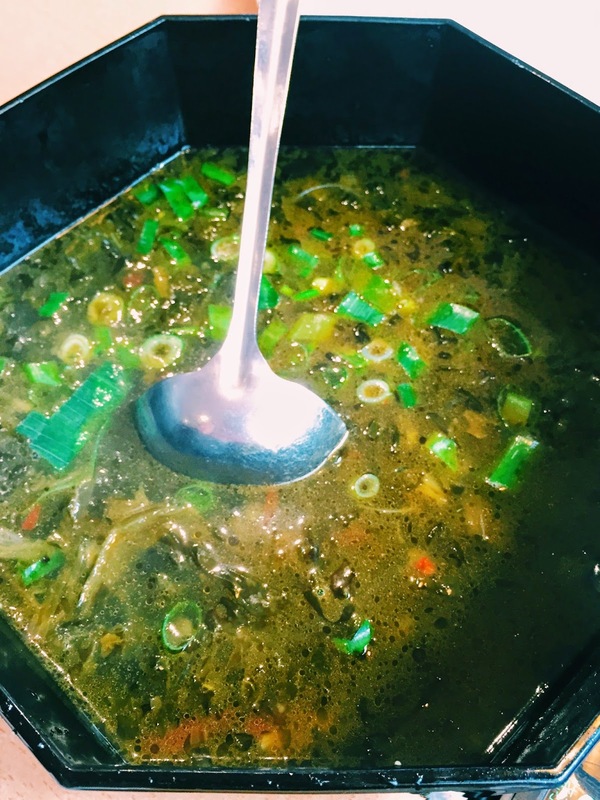 This is probably one of the most un-photogenic soups ever haha, partly due to the black dish they served it in. This actually tasted decent though, a bit salty, but it had the right sour and spicy flavour from the pickled vegetable and chilli. This was by far the star of the meal, my mum had it once when she came here before, and that’s why she suggested the restaurant to start off with. 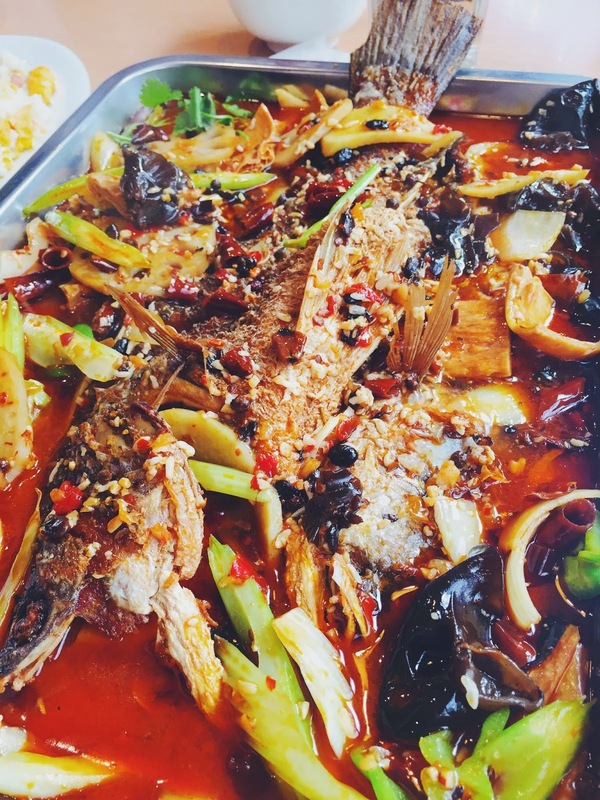 The barramundi was cooked in a specific style that originated from a city called Wanzhou, it was fried first, and served in a big dish with some spicy soup, and vegetables. It was definitely very spicy, with the typical chilli, peppercorn, black bean, but there was also some special spices in there that I couldn’t quite put my finger on, but added an unique taste to the dish. The fried skin of the barramundi was my favourite part of the dish. Of course we needed some rice with all that chilli, my grandma is a fan of fried rice, so that’s what we ordered. 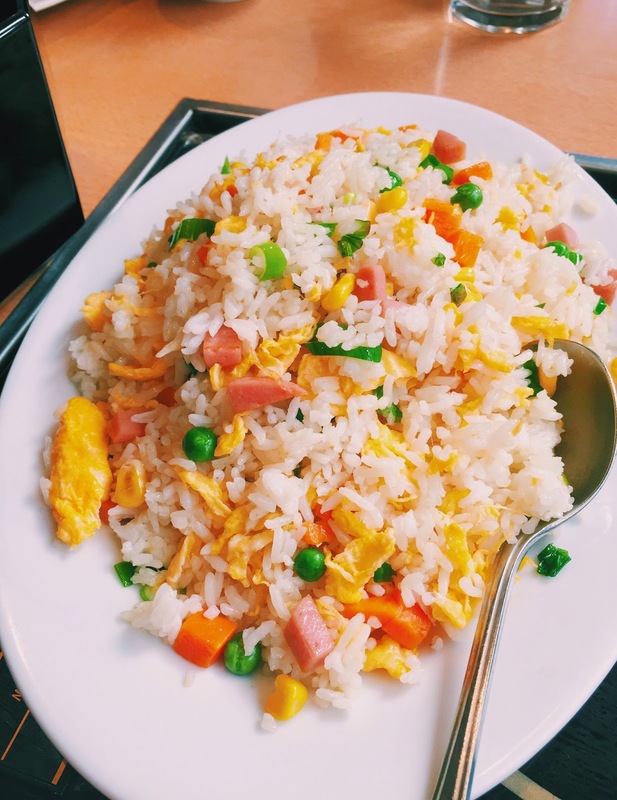 This was average, the rice was nicely separated, and there was the usual selection of vegetables accompanying the egg and ham, but it was nothing special. Chongqing Hot Pot definitely had very generous servings, we didn’t finish any of the dishes, and had to get five takeaway boxes so we could take everything home. 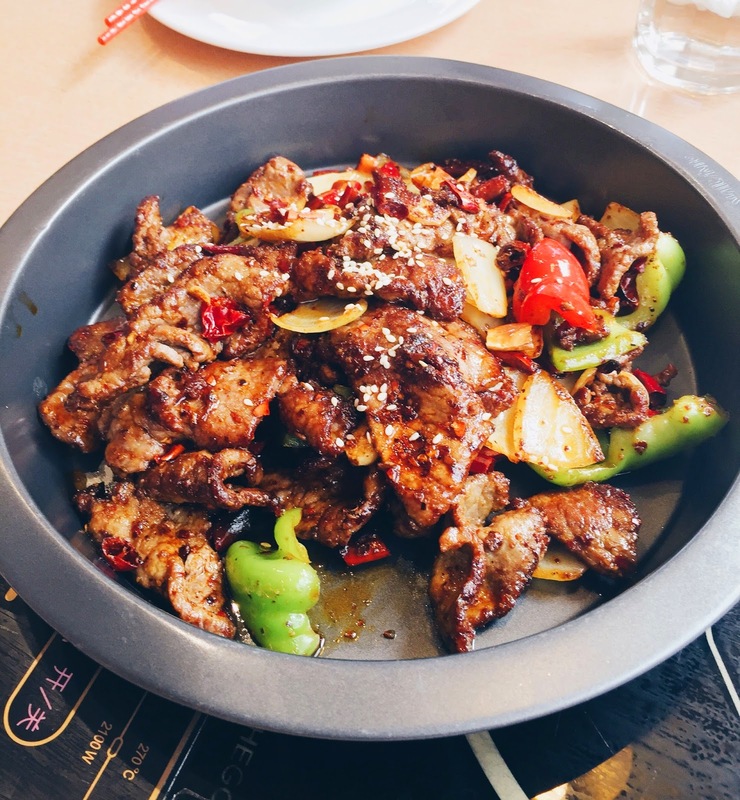 It served up a quite authentic rendition of Szechuan cuisine, and is somewhere that I would definitely return to and try out some of the other offerings on their menu. Chongqing Hot Pot is located at the end of the arcade opposite Glen Waverley Shopping Centre, a short 5 minutes walk from the station.